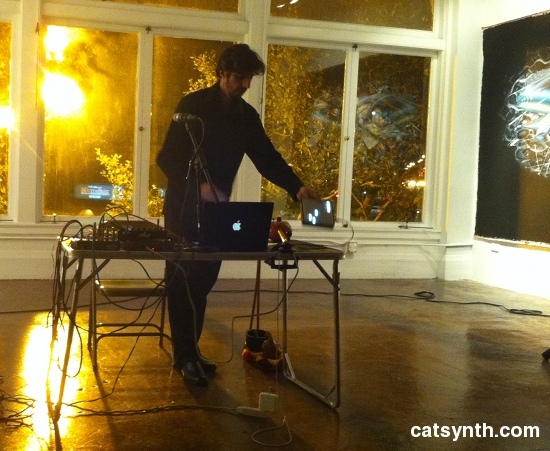 Posted on October 2, 2010 October 2, 2010 by catsynth	This entry was posted in Music, Personal, Reviews, San Francisco and tagged amar chaudhary, analog, cory wright, darren johnston, diy, dsi evolver, electronic music, experimental music, improvisation, ipad, iphone, matt nelson, monome, Music, ocarina, performance, review, San Francisco, smule. Bookmark the permalink. I like the music that played in the video. It was ‘suspensefull’, and it gave me the feeling of being in outerspace, like those sci-fi movies. I wish it played the whole song. Dropping back to say I enjoyed the video!